Wisbech Grammar School is proud to confirm that Year 10 pupil George Gowler(March) has accepted a place on the Emerging Players Programme at Northamptonshire County Cricket Club. 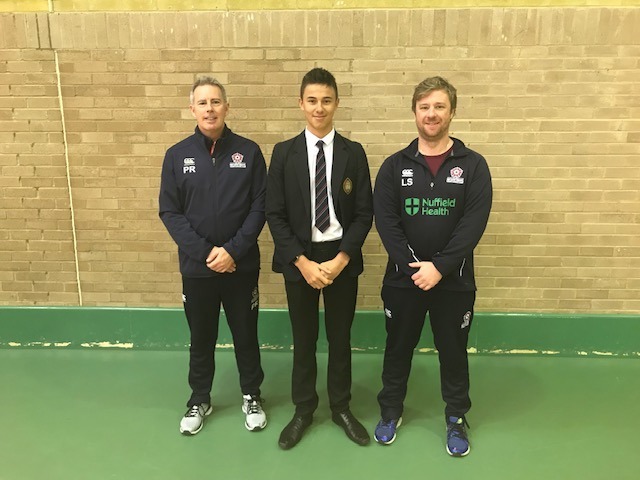 George had an excellent season last year for the School and Cambridgeshire and Northants Performance Cricket Coach, Luke said “George has excellent cricketing potential and we are excited about working closely with both George and the School”. This means that George will attend regular sessions at the County Ground in Northampton and their coaches will also visit WGS. Cricket at Wisbech Grammar School is thriving and there is no doubt that our special relationship with Northants CCC presents an excellent player pathway which not only benefits our pupils but also children from the local area attending our Friday night Cricket Academy sessions.